Nice Steve! Especially like the reflections in the instant one. As much as I went out looking for bright fall color, the subtler shades I found here pleased me. And how could I not go for those reflections? That’s how I feel about them, Lavinia. I usually visit this pond each fall, but this year I got some pictures that are different and that I particularly like. Perfect reflection and lovely colors, Steve. I’m really keen on reflections. It took a telephoto lens zoomed to 400mm to record these from across the pond. I was going to write “Holy Moses, nice shot,” but that’s a bit much for a post about subtlety. So, nice shot, Steve. If there was a water snake, it might be a subtle serpent? “Subtle serpent” comes close to home, what with the same rhythm and initials as the name of the photographer. Throw in “Holy Moses, again trochaic, and you’ve got the right tribe. Look at the subtle harmonies snaking their way through three modest sentences. From ‘writing with light’ (photography) to painting with light. Beautiful reflection in the first photo! I’m fond of reflections, so I’ll have to agree with you. The pinkish hues in the first photo, combined with those dusty blue-grays, are so appealing. The slight rippling of the reflection adds interest, too. It’s a beautiful photo. 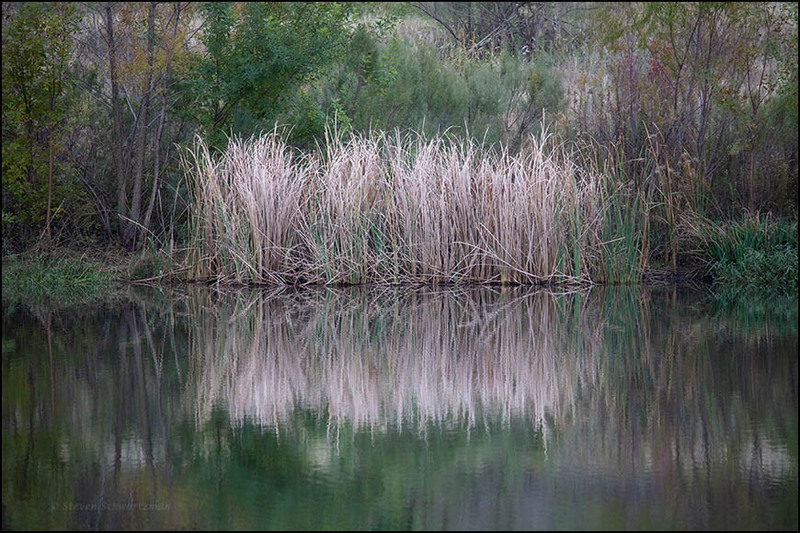 Both images reminded me of Monet: the second, especially so. Thinking of Monet brought to mind a piece published on Futility Closet about a year ago, with some delicious details about Monet’s own seach for perfect light. was I as happy with any reflection pictures as I was with this one and a few others I took at the same time. In fact I went back yesterday for a second helping under different light—initially a light fog, even if nothing like the one Monet enjoyed in London. Your linked article notes that he felt any given light would last only seven minutes. While that’s too brief for a painter, it’s a virtual eternity for a photographer. I don’t mean to brush off painting, but I’m happy to wield a camera. I was thinking about you before I saw your comment. I like this pond well enough that I went back and took lots more pictures a couple of weeks later. The first image reminded me immediately of a scene we both photographed at Volo Bog, do you remember it? A small blooming tree was reflected in the water, very much like this. 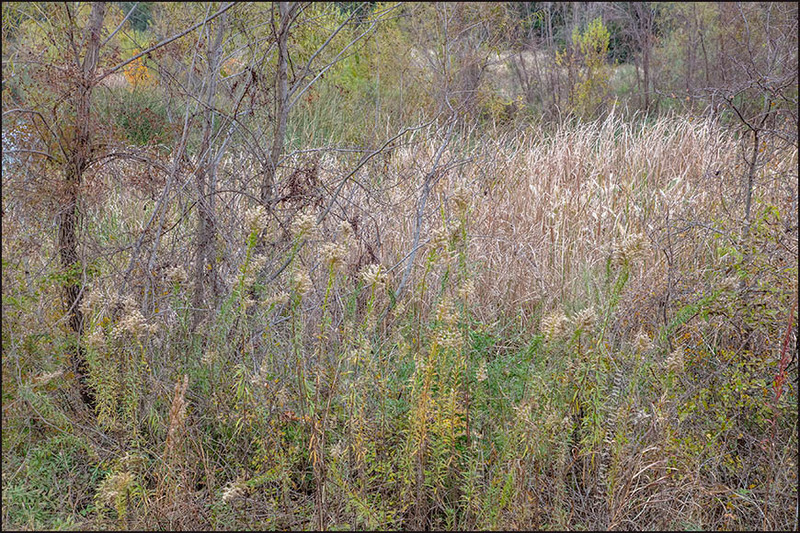 I understand why I would have been attracted to a scene like that at Volo Bog but I guess my version of the picture didn’t come out well, because I just looked through my archive from that day and didn’t find a matching photograph. At the same time, the archive reminded me of many successful pictures there.